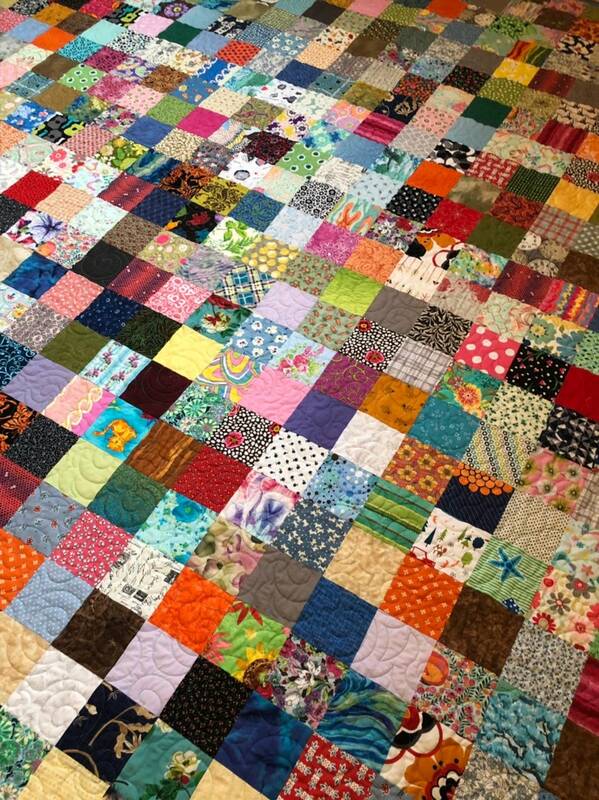 Beautiful scrappy queen size quilt made with fabric that makes you think of warm sunny Spring days! *Quilt measures 96" X 96". *Batting is a cotton blend that is light weight and washes well. The backing fabric is a high grade beautiful blue fabric. *I professionally quilted the quilt in an all over swirl design. *Quilt is finished with a vibrant blue binding that adds a touch of flare to the quilt. It is machine sewn for durability. Thank you for visiting Quilts Modern! All fabric used is new and unwashed quality quilt shop fabric. Your quilt will get the "crinkly" feel after several washes and get softer.